Anyone who has seen an octopus, squid or cuttlefish up close can’t deny that their other-worldly appearance and impressive shape-shifting abilities makes them truly fascinating creatures. As well as being fiercely intelligent, capable of solving complex problems, escaping through the tiniest of spaces and using tools, it seems as though their genetic makeup is also a step apart from many other animals. Research has revealed the evolutionary characteristics of these cephalopods to be even stranger than we could have imagined. 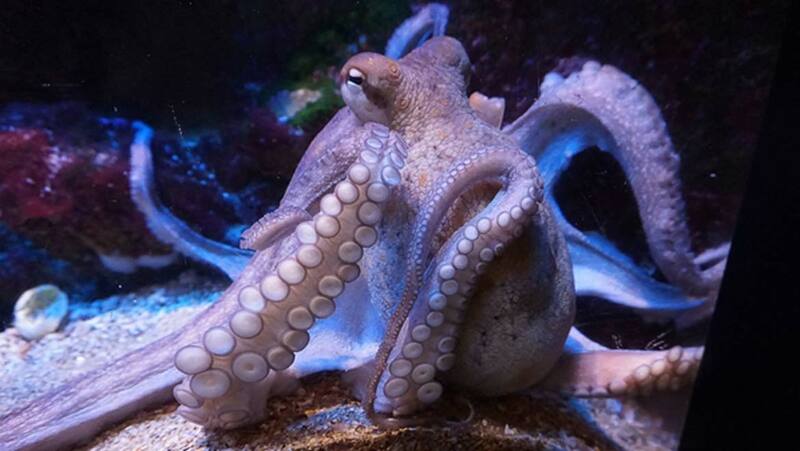 It appears that octopus, as well as some species of both cuttlefish and squid, are capable of editing their RNA in order to adapt to their environment. This is a particularly unusual trait due to the fact that in the majority of instances, adaptations in multicellular animals usually start with a change to the DNA, leading to a genetic mutation. So, in most cases, DNA is the instigator of these mutations and evolutions, not RNA. Scientists from the Marine Biological Laboratory and Tel Aviv University have discovered this unusual trait, in a study, titled ‘Trade-off between Transcriptome Plasticity and Genome Evolution in Cephalopods’ was published in the journal Cell in April 2017. During the research, it was discovered that the cephalopods use RNA editing to refine the information encoded within their genes, but that this happens without fundamentally altering the genes themselves. The nerve cells, or neurons of these creatures were found to be where the majority of this RNA editing takes place. The scientists suggest that perhaps by editing the RNA as opposed to the DNA, these creatures might be far more efficient at adapting to new challenges on-the-go. So potentially they could temporarily make changes to adapt to colder oceans, before re-adapting rapidly when they move to warmer waters. Researchers back in 2015 found that the common squid had edited over 60 percent of RNA in its nervous system, with the new study extending these capabilities to both cuttlefish and octopus as well. In order to discover whether this was a phenomenon found in a wider range of species, the team also looked at the RNA editing ability of nautilus and gastropod slugs but found that they did not have the same ability. Joshua Rosenthal, one of the lead authors of the study, said: “"This shows that high levels of RNA editing is not generally a molluscan thing; it's an invention of the coleoid cephalopods.” Coleoid cephalopods refers to the ‘soft-bodied’ cephalopods including octopus, cuttlefish and squid. It does appear that this ability to rapidly edit their RNA comes with some drawbacks – namely that as a result, coleoids evolve much slower using genetic mutations than would be expected. Rosentahl said: "The conclusion here is that in order to maintain this flexibility to edit RNA, the coleoids have had to give up the ability to evolve in the surrounding regions - a lot." The next stage of this research will be to map out genetic models of cephalopods in order to discover exactly how and when the RNA editing occurs.